Last weekend Jodie Foster (not the actress), her 12-year old daughter, Kayla, and her two step children stood in the middle of LP field during the second quarter of the Tennessee Titans Washington Redskins game. They thought they were being honored for a winning essay they had all written together about husband and father, Mark E. Foster, a sergeant in 101st Combat Aviation Brigade. He is on his fifth deployment, the latest being to Afghanistan eight months ago. In that essay Jodie asked the kids about their dad. The LP Field announcer said something about a surprise. Jodi turned around, and there was Mark with yellow roses in hand, on the sidelines in the middle of a bunch of Titan players. What followed was the whole family crying, running, hugging, and kissing as 69,000 fans cheered wildly, and Trace Atkins’ song, American Solider, boomed over the speakers. I wish that every homecoming was just like that — soldier comes home, war is left behind, everything is back to normal, and they all live happily every after. Many times it is exactly like that. Many times it is not. They went downtown for a stroll, but the low brick buildings reminded him of some buildings in Iraq. There was a crowd of people and lots of street noise. “That was not a good idea,”she said. I had planned the perfect first night back together,one wife commented, but it turned out to be rather awkward. It was like making love to a stranger. We should have spent more time reconnecting. One day a soldier, back home from a combat deployment, finally said to his frustrated wife who kept telling him to come to dinner, “I can’t. I’m in Iraq.”She had grown more and more frustrated because she didn’t know what that meant. Why doesn’t he just get over it and move on, she thought. Others talk about nightmares, emotional detachment, fixation on their war experiences, the difficulty of adjusting from a wife running the household all by herself to dad being home, and (to the shock and amazement of a spouse or loved one) the compelling desire to go back. As great as it is to be back home, sometimes that just starts the process of leaving the war behind. When soldiers are deployed in a war zone, they are always busy, constantly on guard, and completely focused on their mission and responsibilities. 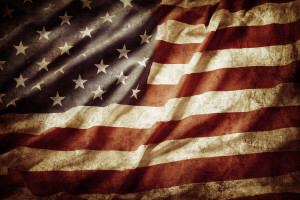 When they get home, the place where they can relax and stand down emotionally, that is when all the emotional issues, held back while on deployment, begin to surface. It can be frustrating to a spouse who has always assumed that she could just love him through whatever problems he has. Realizing that alone isn’t going to fix him, she begins to take things personally. Dealing with combat-related stress takes time, patience, and almost always some counseling. It’s a lot like many other issues that can overwhelm a relationship the death of a child, the chronically ill family member, or enormous financial stress. Merritt said: At this point we are in a good place in our relationship, but we have certainly been through our share of ups and downs. When he came back from combat, there were a lot of issues we really struggled with. We even talked about divorce a few times, which was really scary. I felt like I was a strong independent woman, and I could walk away from the relationship if I needed to. But as we talked about deep feelings, we always came back to our commitment to each other and how much we meant to each other. We have shared our lives together, and we really are each other’s best friends. As much as combat and the related issued have been difficult on our relationship, in a way it has brought us closer. We sought counseling together, we’ve each had to work on our own stuff, and we realize that we really love each other from somewhere deep in our souls. It has made us stronger, more committed to each other. We feel now there is nothing we cannot get through. 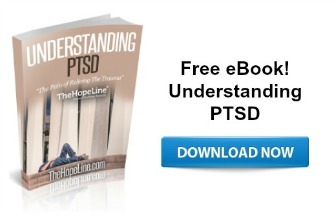 For military personnel and their families dealing with the combat related stress issues, I recommend that you download this free PTSD eBook from TheHopeLine® team. Sgt Mark Foster is my husband. Loved reading this article. War is hard on military families. Every one involved has to give 100%. Mark retired and although we are both so proud of his military career but we are so happy to finally be out. -Jodi Foster. Jodi, Thank you so much for your kind words and thank you for your husband’s service to our country!